J.G. 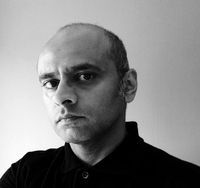 was born on a full moon, Halloween night – maybe it was his destiny to write horror? For most of my life. I wrote horror, mainly as a hobby, since I was in my early teens. Life diverted me off to a different path for a little while so I never really took my writing seriously until a couple of years ago. Self-publishing has become so much easier these days so I took the plunge and released my first book (the original Tales of Blood and Sulphur in May of last year). On the strength of that effort, I landed a publishing contract with Booktrope. I came to horror through science fiction, weirdly enough. I grew up back in the days when shows like Doctor Who and Blakes 7 were quite dark and at time scary, so my fascination with all things macabre stemmed from that. Having a father who loved horror films and uncles who loved the novels of King and Herbert helped a great deal as well. Plus I was born on Halloween. I must have been twisted from the word ‘go’. 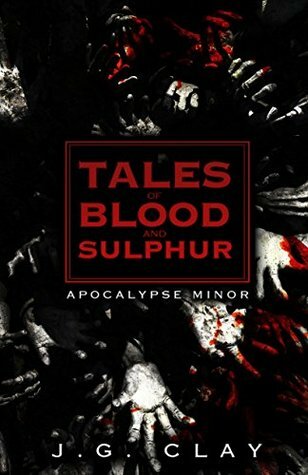 Tales of Blood and Sulphur was a collection of short stories that I put together initially just to get something out in print. When Booktrope said they would re-release it, I added a few more stories and a wrap-around story to link everything together. Initially, it was just a bunch of stories that I’d written and liked. From there, it grew into something more. Going outside to investigate a noise. I hate that cliché with a passion! My take on it is that if you know there’s a killer or monster or whatever lurking about and you go outside, you deserve to die. My characters are a bit more realistic than that. At least, I hope they are anyway. I’m currently working on two full length novels and a novella. The first of the novels is called ‘H.A.D.E.S’ and that will be released through Booktrope’s horror imprint ‘Forsaken’. It’s set in early Eighties London where we have some strange goings on in a run-down inner city area and racial tension on the streets. That will be the first. I’m not entirely sure what’s going to happen with the other novel as yet, but the novella called’ Vampire of Small Heath’ may well be released by Booktrope as well. Watch this space. Favourite horror movie by a country mile has to be ‘John Carpenter’s The Thing’. That was the film that really kick started the writing for me. IT still stands up today. No offense to the newer generation of film makers, but I still haven’t come across a better horror film. It’s a masterclass in terror. Favourite book? There’s two to be honest. Stephen King’s Salem’s Lot; the proper vampire book, none of this sparkling vampires with feelings stuff. This is how vampires should be. Seductive and nasty. The other is Weaveworld by Clive Barker just for the sheer imagination that spawned that book. Barker’s a brilliant writer anyway but Weaveworld stands out from his other work, for me anyway. I could read that over and over again. J.G. Clay is definitely a Man of Horror. There can be no doubt. Putting aside the reverence he has for the horror greats, such as King, Barker, Herbert, Carpenter, Romero and Argento, there is another fact that defines his claim for the title of the ‘Duke of Spook’. He was born on Halloween night. By a quirk fate, it was also a full moon that night. Co-incidence?